Blackrock is based on a shocking true story of the murder of Newcastle teenager at a party one summer evening. Presumably at such a huge party, there would be plenty of witnesses, but none come forward. The story charts the journey of Jared who must choose between doing the right thing and the loyalty of his mates. 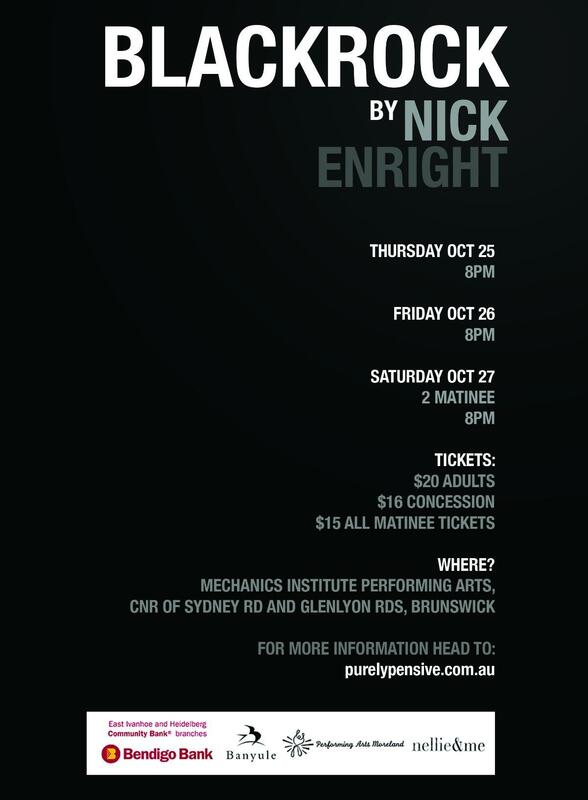 Blackrock will be performed at the Mechanics Institute Performing Arts Centre, 25-27 October, 2012. Corner Sydney and Glenlyon Roads, Brunswick. Click here for detailed parking information.